From fashion to food and electronics, many industries are facing a backlash against cheaply made products that do not last. 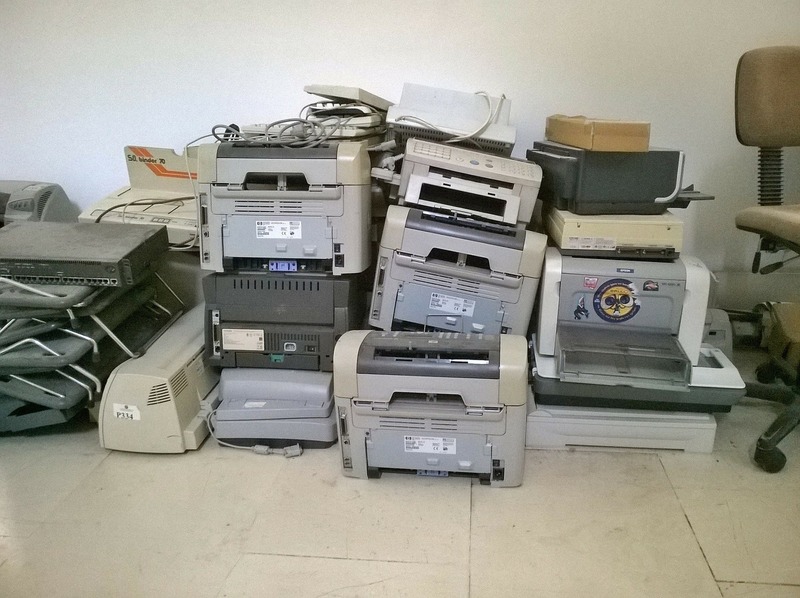 Sick of printers that break within two years, or suitcases that fall apart the second time you use them, there is a growing appetite for long-life guarantees – from the promise of the 30-year jumper to the rise of shopping sites dedicated to products that last a lifetime. But we don’t always know whether a product will last when we buy it. We recently carried out a study to see how consumption patterns would change if consumers were informed about product lifetime at the time of purchase. The European Economic and Social Committee has published the findings of this study, carried out by the University of Southern Brittany, the Sircome agency, and the University of Southern Bohemia. Our main goal was to see whether displaying a product’s lifespan would influence a consumer’s decision to purchase. In other words, would our consumption patterns change if the lifetime was indicated? Would we choose the same products if we had this information? It seems we would not, and there are easy ways for manufacturers to inform of us of our options. The experiment involved a sample of 2,917 participants from five European countries (Belgium, the Czech Republic, France, Spain and the Netherlands). We designed a fake shopping website, which consumers could use just as if it were Amazon or ASOS. (Participants did not know the site was fake.) Once they had checked out their shopping basket, participants were directed to a questionnaire which gauged various socio-economic and psycho-social indicators. The results showed that if shoppers had information on product lifespan, they would choose to buy longer lasting items: on average, a product’s sales increased by 56% if its lifetime was longer than competing products’. Displaying the lifetime does not have the same impact on sales of all products. Of the products tested, purchases of suitcases (+128%) and printers (+70%) were influenced the most by displaying the lifetime. Why these two products? Suitcases are the quintessential roaming product, giving them two characteristics which makes the consumer rank lifetime as a priority: the trials of transport make resilience a key factor, and any item used solely for travel will be brought out only occasionally. If it is used rarely, the consumer has every reason to hope it will last a long time. As for printers, they have one of the shortest lifetimes of all household electronic goods, and people buy them because they need them, not for pleasure – two more good reasons why we would want them to last. Sales of smartphones are among the least affected by displaying lifetime (+41%) – possibly because they are bought for pleasure and having the latest model is a factor for many consumers. It would also seem that the importance attached to lifetime increases with the amount that people are prepared to pay. In other words, lifetime is more important when purchasing top-of-the-range products (+49%) than bottom-of-the-range products (+44%). A full 90% of participants said that they would be prepared to pay more for a dishwasher which would last two years longer. On average, they said they would be prepared to pay €102 more for that guarantee on a dishwasher priced between €300 and €500. The results also showed that the amount consumers were prepared to pay for a longer lasting product varied with the GDP of the country in which they lived. How should lifetime be displayed? Various display formats were tested: of these, a format similar to standard A to G energy consumption categories were the most effective in informing consumers. With this display, the market share of products with a longer lifetime than their competitors increased by 84%. An indications of useful lifetime (indicated in terms of washing cycles, pages printed, and so on) came second, with an average increase in market share of 56% for products with a long lifetime. Meanwhile, 80% of participants felt that the manufacturers were very to extremely responsible with regard to providing information about a product’s lifetime. All these findings argue for legislation on product lifetime. There is no doubt that the reliability of the products purchased is important to consumers. The study showed that regulatory information would steer customers when purchasing products. While not excluding their own share of responsibility in ensuring that their products last, consumers recognised that normal conditions of use would enable manufacturers to guarantee a minimum lifetime for their products. They also said they were prepared to pay more for products which last longer. This points to an obvious policy response: an indication of lifetime should be mandatory on products, just as an energy rating is mandatory on many others. Providing an A to G rating for lifetime would allow manufacturers to meet consumers' expectations, and consumers to make better choices.